Shasta County is Trump country. The president won the county with 65% of the vote. In February, Shasta County voted to become a “non-sanctuary” zone for immigrants in the country illegally. But for the fire crew of Mexican immigrants, politics never enters the mind. This isn’t about Trump or his supporters, or about border walls. It’s about the pride of protecting people’s homes. Rocha said residents have been grateful. The fire crew was trained and hired by R&R Contracting, a private company based in Salem, Oregon, and operated by one of Rocha’s relatives. 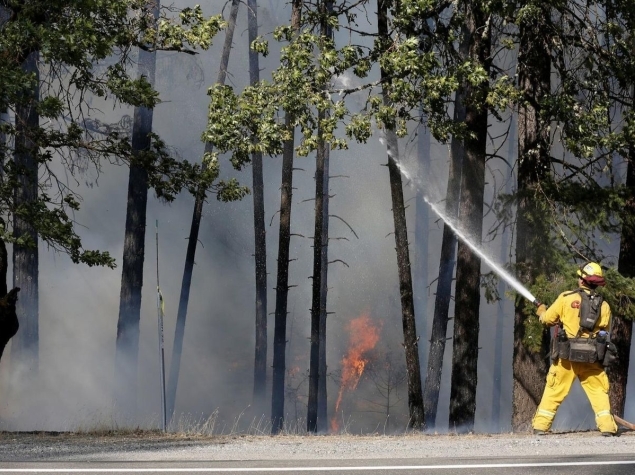 The company is also just one of hundreds in Oregon that are contracted by state and federal governments to fight forest fires. Experts say Oregon is in the forefront of states that have created certification programs for contract firefighters. A sizable number of them are Latino immigrants. 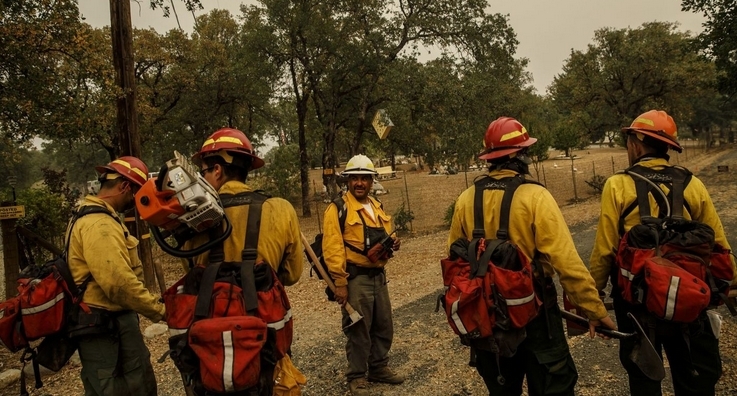 The California Department of Forestry and Fire Protection could not immediately say what percentage of its firefighters were immigrants. From an observational standpoint, Mike Mohler, deputy director of communications for Cal Fire, said the department is pretty diverse. Cisneros, who is from Michoacán, said the job is hard work because of the heavy gear and intense labor. “It can get tiring,” he said, adding that while it is physically challenging, it is rewarding. Responses to "In a conservative Northern California county, a team of Mexican immigrants helps battle the Carr fire"